Deliciously funny stories which help developing readers to sustain their reading effectively. Ideal for National Curriculum Level 2. 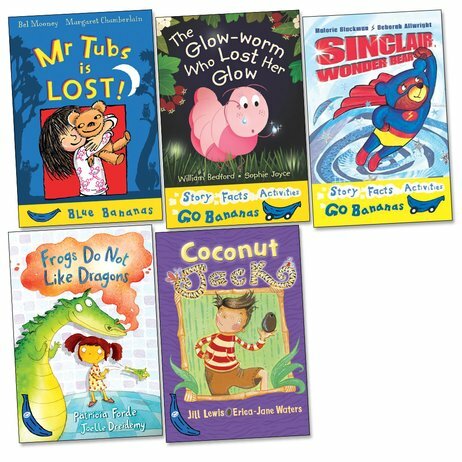 Part of the popular Egmont Bananas structured reading series, these vibrant full-colour storybooks are a million miles away from the dull look and feel of many traditional readers. Each book contains a single story which encourages children to sustain their reading, plus dynamic and witty artwork full of picture clues. This pack includes titles by Malorie Blackman and Bel Mooney. Blue Bananas: Mr Tubs is Lost!